On September 8, the Immanuel Kant Baltic Federal University, Kaliningrad, in the framework of the Youth Forum ”Petersburg Dialogue” the opening of First Russian German School ”The World Trade Organization Law” was held. 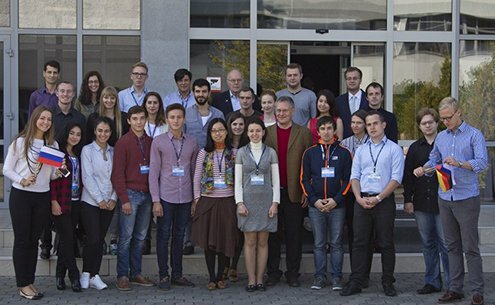 The participants of the School were 37 students from the whole of Russia (Kaliningrad, Moscow, St. Petersburg, and Vladimir) and Germany (Göttingen, Halle, Frankfurt (Oder), Leipzig). The participants were provided with a full range of services at the event: catering, accommodation, tickets, and language support.